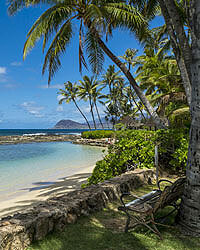 Lanikuhonua “Where Heaven Meets the Earth” is located within Ko Olina Resort in Kapolei. 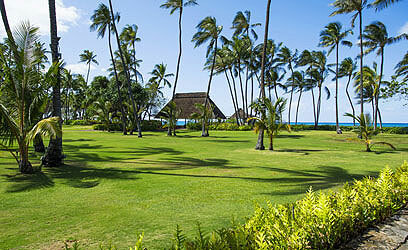 This 10.812-acre oceanfront property, leased to the Lanikuhonua Cultural Institute, perpetuates Hawaiian cultural programs. The institute has sponsored Hawaiian studies for area elementary schools as well as hula and canoe festivals for high school students. 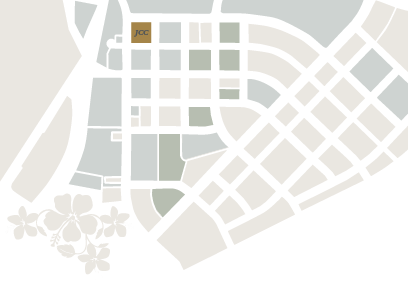 Community and private events are also held at the site which, in turn, help support the cultural programs. This beautifully maintained property is enhanced by two halau (outdoor pavilions), restrooms and a caretaker’s house.